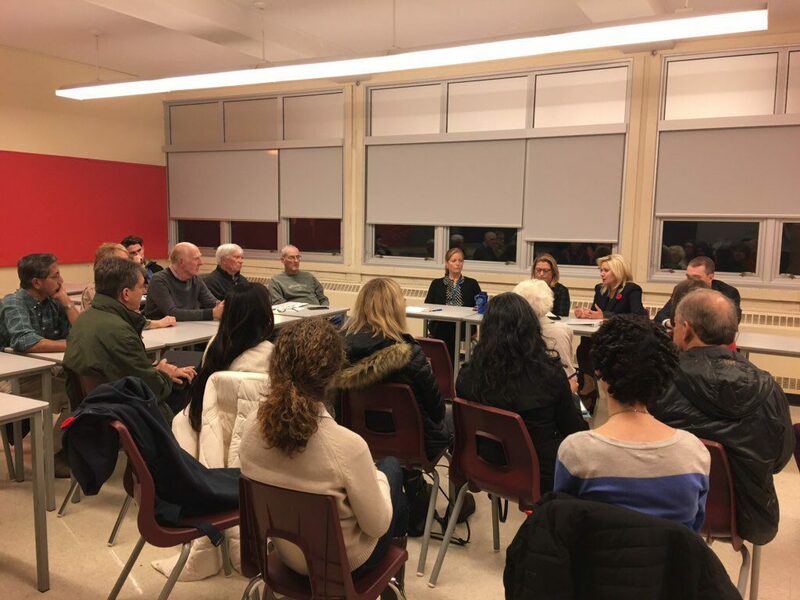 Ward 2 Councillor Karen Ras and I held office hours yesterday evening at Lorne Park Secondary School. This was an opportunity for us to bring City Hall directly to the people of Ward 2, in particular, the community of Lorne Park. We held several one-on-one meetings with residents and addressed their issues on the spot. Holding office hours in each of Mississauga’s eleven wards was a campaign pledge of mine. Since my election, I work alongside area councillors to hold annual ward-based one-on-one meetings. As Mayor of Mississauga, I am committed to being accessible. Even before I was Mayor, I was privileged to represent the people of Ward 5 as their City Councillor. One of my first initiatives after winning my seat on City Council back in 2011 was to hold community office hours. As elected representatives, it is fundamental for your local government to be as accountable, responsive and transparent as possible. I know that not everyone can make it to City Hall, so we bring City Hall to the people. Please stay tuned for information about dates and times for your particular ward – I look forward to meeting you there! You can also contact me or my staff with any issues or concerns at any time by e-mailing mayor@mississauga.ca or calling 905-896-5555.